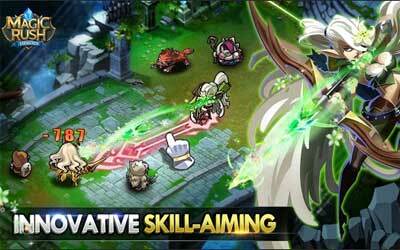 Previous version Magic Rush: Heroes 1.1.144 apk for Android will help you to downgrade or install older app easily. This is one of the best Role Playing apps. Adjusted the formula for calculating Dodge. Now heroes with high Dodge stats (Kaiser, Lee, etc.) will be able to dodge attacks more frequently. Lotus: Added to the Good Buddy hero group.